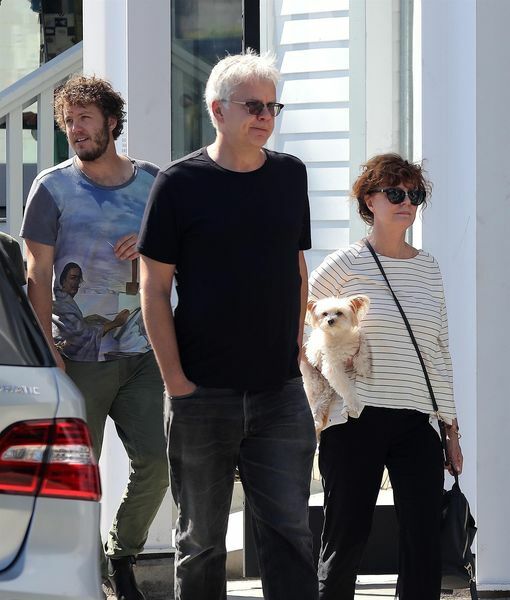 Actress Susan Sarandon and ex Tim Robbins are still on friendly terms nearly a decade after their split. On Tuesday, Sarandon, 70, and Robbins, 58, reunited for a lunch with their son Jack, 28, in Venice. Susan brought her adorable dog to the outing, which was also attended by two family friends. Their son Miles, 24, was not on hand for the gathering. Susan and Tim started dating in the '80s after working on “Bull Durham,” but called it quits in 2009. After they ended their relationship, Susan went on to date Jonathan Bricklin, but they split after five years together. Earlier this year, Susan discussed her sexuality, joking with PrideSource.com, "Yeah, I'm open. My sexual orientation is up for grabs, I guess you could say."